There were clefts in the room. One day the clefts were to become cricket bats injected with latex. It was a moneymaking endeavour to help fund cricket's first school. The room to dry bats was small, using a hose that pumped in carbon monoxide. If someone was in the room, they would usually have the doors and windows open. This day, in September 1930, while the carbon monoxide pumped in, the doors and windows were shut. Inside that small room, there were clefts, gas and the greatest cricketer South Africa had ever known. Archie MacLaren had a big mouth and was a pompous amateur who was, on occasion, a very fine batsman. He was famous for his captaincy, despite the fact that his record never really backed it up (four wins and 11 Test losses). But like most players of his time, or any time, he still believed he was the sole expert on how cricket should be played. Warwick Armstrong's Australian team beat England 5-0 at home straight after World War I, and then, in their next encounter, in the summer of 1921, went 3-0 up in England. They were unbeaten in 34 games (a run that includes Tests, first-class and other games), and seen as, for want of a better word, invincible. MacLaren said Australia were beatable and proclaimed he could pick a team of Gentlemen (former players mixed with university players) to beat them. Mostly people laughed. But down in Eastbourne, organisers realised this was an opportunity to make a lot of money and they offered to host an Archie MacLaren England XI against the Australians. One of the Gentlemen was a 39-year-old South African cricketer who had fought in two wars, struggled with bouts of malaria, was out of shape and hadn't played a Test in nine years. MacLaren's dream team managed 43 in the first innings. The old South African, who opened, was bowled by Armstrong. Australia passed the total one wicket down, but ended on 174. Here the old South African found some form and took three of the top four and four in total. After all these years, people still had trouble picking which way he was spinning it. In the second innings, with his side 71 runs behind and four wickets down, the old man came out to bat. When he stumbled in, all nervous energy and flawed technique, even Armstrong, who had played against this man at his very best, wouldn't have worried. This wasn't the same man, that Adonis, the world's greatest allrounder. This was a broken ol' fella talking to himself. After every ball this old man would head to square leg and talk through what he did wrong. He was coaching himself on the field. Maybe if they had known how good a coach he was, they would have taken him more seriously. Instead the Australians laughed at him; Neville Cardus, as he would write in his autobiography later, made plans to leave the ground early and return to London. No official time is given for when the laughter stopped. Maybe it was his fifty, or his hundred, or even when he was done for 153. It was one of three 50-plus scores in the match. It was chanceless, a self-commentated innings that took down a bowling attack of Arthur Mailey, Jack Gregory, Warwick Armstrong and Ted McDonald; a brilliant attack humiliated by an old man, an old man who had, in his own words, a "will to achieve". When he was out the lead was 195. Australia came out to chase and the old man was given a rest, MacLaren preferring to use only his two opening bowlers. But with Australia seven down, Tommy Andrews set and Armstrong in, MacLaren brought the old man in. Soon after, he dismissed Andrews. He then studied Armstrong for a while. Here was cricket's most arrogant man, a bully, the prototype for what Australian cricket would become. Armstrong and the old man had previous. The story goes that once, in a match before the war, the old man was bowling to Victor Trumper, and Armstrong had told him that Trumper's weakness was the quick yorker. The old man delivered one. Trumper smashed it away. The old man looked back at Armstrong who gave no reaction. So the old man bowled two more, and both were hit to the boundary. After the third, Armstrong had a massive grin across his face. Like many before him, the old man had been grifted by Armstrong. This time, Armstrong was not grinning. His amazing summer was about to be ruined by the blowhard MacLaren and this old man. The old man saw Armstrong purse his lips as if about to whistle. But no noise resulted. The old man had shut up the most loudmouthed Australian. Shortly after, he dismissed Armstrong, his sixth wicket of the match. MacLaren's Gentlemen had beaten this vicious Australian machine. This old man, Aubrey Faulkner, had beaten them. One day, a young Aubrey Faulkner came home. He was coming home to his family, a privileged one, that owned an impressive home in Port Elizabeth, and was able to send Faulkner to the prestigious Wynberg Boys' High School in Cape Town. His father was a wealthy man, but also a drunk and a wife-beater. Faulkner had seen it so many times before, but this time he lost control. Attacking his father would have consequences. It would mean foregoing an easy life; he would have the name, the status, but not the money and security. It would mean working hard his whole life, unlike other men born into privilege. Faulkner didn't think about this. He snapped and beat his father, stopping only when he realised his father had turned limp. Years later he would tell his protégé Ian Peebles that he "nearly killed him". There was nothing left for Faulkner at home. He would live in Johannesburg, Cape Town, Nottingham, the Gardens of Salonica, Jerusalem, Maidenhead and London. But he would never truly be at home. No matter where he went, who he met, what his will achieved, his darkness would stay with him. Faulkner was 19 when he left home. 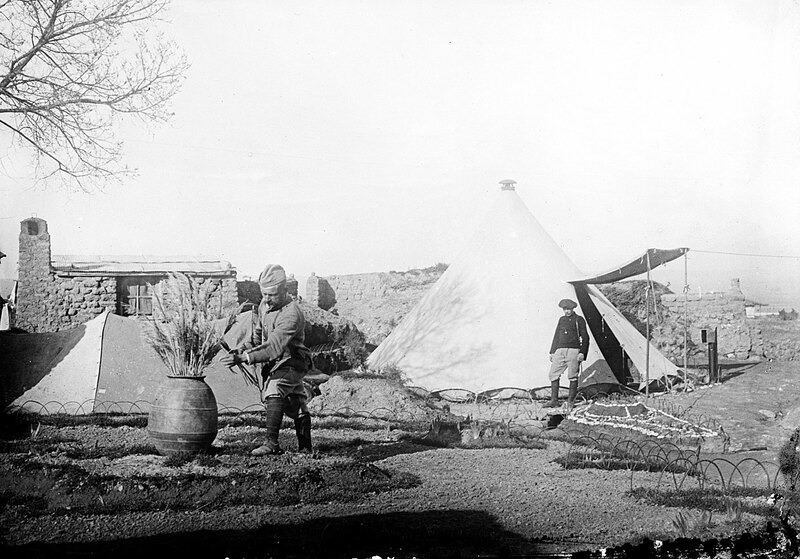 He left his family, became independent, and joined the Imperial Light Horse, an old South African regiment, in Johannesburg as an officer during the Second Boer War. Sat upon his horse, he must have been a magnificent sight, two finely tuned, powerful animals in harmony. Faulkner was the very definition of the broad-shouldered young South African man: brown hair, brown eyes, and thick through the trunk. Women were drawn to him, even the married ones. When the war ended in 1902, Faulkner moved to Cape Town. He began his working life as a clerk for H Ekstein & Co, a gold-mining company. This sort of work wasn't for Faulkner. He was a man of pedigree, a man of action. So he made his way down to Newlands for a net session, and there, according to Christopher Martin-Jenkins' Complete Who's Who of Test Cricketers, was spotted by Walter Richards. Richards was a former cricketer-turned-umpire who had been a great batsman for Warwickshire before they became a first-class team. Richards started coaching Faulkner, but he was no chosen one, just a young man working on his game, willing himself to improve. Transvaal gave him a chance, Faulkner making his debut in a Currie Cup game in April 1903 against Border. He batted at nine - unbeaten twice for 16 and 17 - and didn't bowl. His second game began a day after his first ended and he bowled five wicketless overs, batting at nine again. He didn't play a first-class game the following season. He was popular with his team-mates, no one had a bad word to say about him, but he seemed to just be an average cricketer, a clerk, with a big smile. Bernard Bosanquet also came from a wealthy family, very much a Gentleman, not a Player. His career would have been unremarkable had it not been for a game he played on a table-tennis table, which he called "Twisti-Twosti", the object being to spin the ball away from a person trying to catch it on the other side. Somewhere in this gladiatorial battle, the wrong'un was born. South Africa had been playing Test cricket for less than a decade when Bosanquet discovered the googly. They had yet to win a Test. England would send second-rate, sometimes fourth-rate, sides, with players who were barely good enough for first-class level. 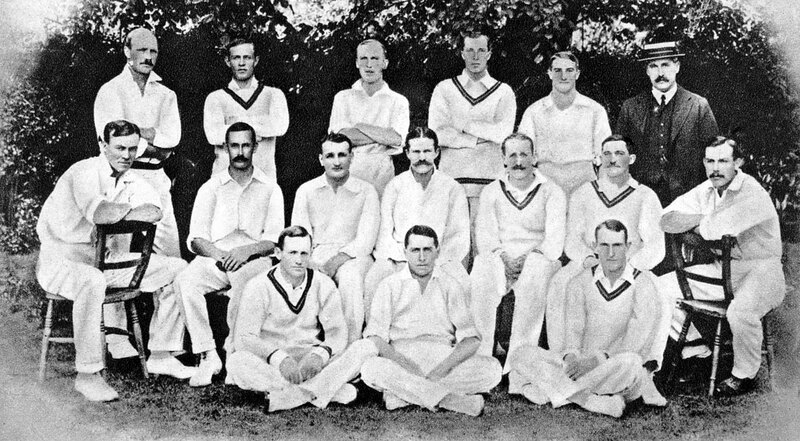 In 1904, a South African side toured England, but not as a Test side because they weren't thought to be good enough. One of the tourists, Reggie Schwarz, was a handy batsman and rugby international for South Africa. In 1901 and 1902, Schwarz played for Middlesex. He was good friends with Bosanquet, and travelled on the tour of the US with Bosanquet's side when they played the "Gentlemen of Philadelphia". So when South Africa played their opening first-class match of the 1904 tour, it was his captain, friend and tour master who took nine wickets in an innings with this new creation. Schwarz asked Bosanquet about this new magic and a few weeks later tried it himself in a game that wasn't first-class. He took 5 for 27 and by the end of the tour he was the third-highest wicket-taker on tour with 65. Instead of hogging his new-found skill, Schwarz went back to Transvaal and found three disciples: Gordon White, Ernest "Bert" Vogler and Faulkner. Faulkner was the right man, in the right place at the right time and for the second time in his young life, he found a great teacher. The following season England toured, though with a weak team. The best players were not interested, as the challenge wasn't seen as a real test. The matches were on matting wickets, and no one considered them as important as Tests against Australia, or even county cricket. Pelham "Plum" Warner was left with what some thought of as a 2nd or 3rd XI, but one still thought of as good enough to beat South Africa. Transvaal hosted the tourists in a first-class game before the Tests. Faulkner and Schwarz were both prominent in Transvaal's win. A week later Faulkner played in his fifth first-class match and first Test. Vogler played too, as did White and Schwarz. They took eight between them as England made 184. South Africa couldn't even make half of that, all out for 91. Faulkner took four in the second innings to stop England from making a big total, but South Africa still had to chase 284. When Faulkner was run out, they were 105 for 6. South Africa had scored over 251 only once in Tests and now they were up against the third-highest chase in Test cricket's short history. Over 17 years and 11 Tests South Africa had never won a Test. They had drawn only once. But White hung in and the legendary Dave Nourse partnered him for a couple of hours. White eventually fell and so did two more wickets before Percy Sherwell, South Africa's wicketkeeper-captain, came out. It was his first Test and South Africa still needed 45 runs. The English lost their nerve quickly. South African fans had no real reason to believe in their side, but the chase excited them. According to news reports from the time, they roared at every run. England's bowling became ragged. Sherwell began hitting boundaries, Nourse was defending like one side of Table Mountain, and the cheering grew in voice. Four were needed when Albert Relf strayed down the leg side and Nourse and Sherwell ran three. The scores were tied for three balls before Relf dropped one short and Sherwell smashed it. Before it even got to the boundary, South Africa had won a Test match, a 17-year streak ended by that long hop. Faulkner was a Test winner, so were South Africa. They went on to win their first series 4-1. Faulkner was one of the XI, no star. South Africa's four legspinners of the apocalypse took 43 wickets at 18 in the series. Faulkner was just one of them, no star. They said that Faulkner was so good-looking that women came to the ground just to watch him play. Those women were obviously not cricket purists, as, from a cricket standpoint, Faulkner was functional: handmade, a bit of rough. His kit rarely matched and was often dirty. He once played an entire Test with a piece of string holding up his trousers. In Great Characters from Cricket's Golden Age, Jeremy Malies described his bowling like this: "For such a natural athlete his run-up was surprisingly craggy and ungainly. It included several stutters and he would arrive at the wicket with elbows pumping madly, in the manner of Bob Willis." He sounds more like a drunk uncle than a polished Test match bowler, but at the crease, all the coaching and tinkering unfurled into a very respectable legspin action. Repeatable, barely beatable. Faulkner would land it on a length, turn the ball both ways without any hint as to which way it would go, had endless endurance for Herculean spells and also had a fast yorker that destroyed batsmen. As a batsman Faulkner was two-eyed. While most batsmen of the era were side-on, Faulkner stood very open. His bottom hand was in charge, and as the bowler came in, he flexed it aggressively over the grip. His back was always arched over, as if his bat was a bit too small and so, like with many broad-shouldered batsmen, the piece of wood often looked like a toy when he swung it. Faulkner would defend with good, if slightly eccentric, footwork, and when he hit the ball, he did so with the same sort of power his father had once borne the brunt of. Faulkner stood in the slips most of the time, but there wasn't a position in the field he couldn't master. There wasn't a cricket skill, once taught, that he couldn't perform at the highest level. Richards and Schwarz had given him just a little coaching but the rest of it was Faulkner coaching himself, so that he was like a golden-era version of Jacques Kallis with Bob Woolmer's mind. 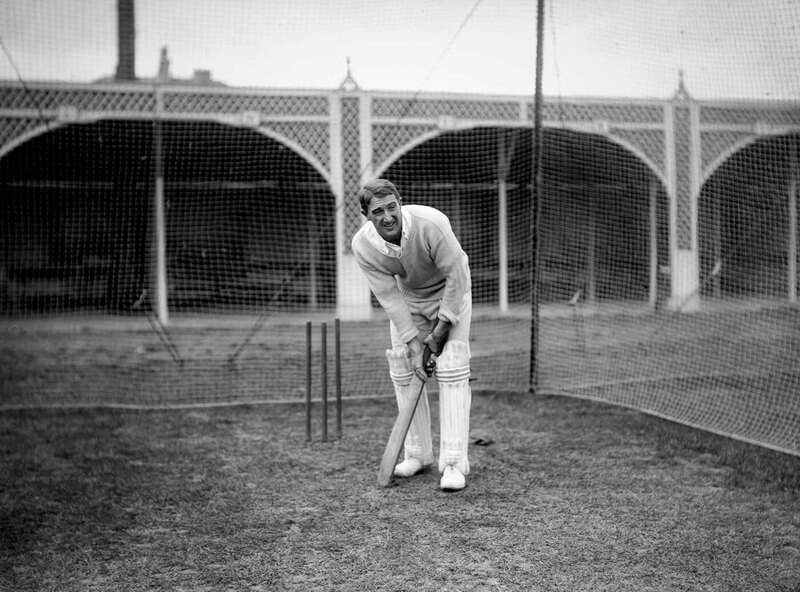 For 866 days, or nearly two and a half years, after scoring 42 at The Oval in 1907, Faulkner played no Test cricket. South Africa drew the first Test of that series - their first away from home - after being made to follow on. On a soft wicket at Headingley, England trudged to lunch on the first morning, but only one wicket down. After lunch, Faulkner happened. The ball spun viciously in both directions. No one seemed to be able to tell which way, and this with a wicket slowing the ball down. Faulkner took six for 17 from 11 overs but England eventually won by 53 runs and took the series. The four legspinners combined for 228 first-class wickets on the entire tour. Some Englishmen suggested their wrong'un was unfair. When Faulkner bowled one, it was said to be virtually undetectable. When he finally did play his next Test, also against England, at the Old Wanderers Ground, Johannesburg in January 1910, he top-scored with 78 and then bowled 33 overs, mostly unchanged. He took 5 for 120. Then he came in at No. 6, South Africa fewer than 30 runs ahead, and made 123 out of the 216 made in the rest of the innings. He dragged South Africa past 300, leaving England 244 to chase. Vogler took most of the top order. England were eight wickets down and needed 46, but George Thompson wouldn't budge and Henry "Shrimp" Leveson Gower was well set. Inevitably, Faulkner took the wicket of Leveson Gower, and then, with England needing only 20, he dismissed Thompson as well. South Africa were 1-0 up and Faulkner was carried around the ground like a king. South Africa won the series and in five of the 10 innings, Faulkner top-scored: 545 runs at 60 and 29 wickets at under 22. "Faulkner is an extraordinary cricketer," the England cricketer Teddy Wynward wrote in the Rand Daily Mail. "A great player this, with a great future." Yet by this point Faulkner had already played more than half the Tests he would ever play, and never again would he play another Test at home. In 1925, an advertisement started appearing in the Cricketer magazine: a cricket school, run by a Test cricketer. Pelham Warner and Leveson Gower were noted as directors. But the school was called the Faulkner School of Cricket. And it was the first full-time cricket school. A young Scottish cricketer named Ian Peebles had seen the ad. When he visited London once, he made two special visits - one to Lord's, the other to Faulkner's school. When Peebles arrived, he was expecting utopia - lush green pitches, Test cricketers lined around a bar, the best cricket bats strewn around the place, wide open spaces - or at the least, as he wrote in his book Spinner's Yarn, "a beautifully kept expanse of turf with a number of nets in orderly rows". Instead he walked into a barely reformed garage in Petersham Road, Richmond. It was so cramped, more than one batsman had hooked the ball back onto himself. The electric light bulbs were poor. The fuse box, just above the bowler's head, had once exploded as a bowler lost control when he let go of the ball. The school was as shoddy and unorthodox as the man himself, but also as effective. Faulkner saw Peebles bowl and knew there was something special there, excitedly telling his assistant, "Look what I've found." Later Faulkner invited Peebles to lunch, a meeting Peebles recounts in his book. "If you come to London you could be my secretary," said Faulkner. "If I did, do you think I would ever play for a county?" asked Peebles. "If you come to me, you'll go a damn sight further than that." He offered Peebles a dream, and half his sandwich. Peebles moved to London. Despite the shabby location and lack of amenities, the school was a dream for young boys with aspirations of cricket. A 12-year-old could enter and walk past the renowned cricket writer Home Gordon and Warner in deep conversation. He could pad up just as Douglas Jardine was leaving for the day. This boy could then enter the nets and work under the tutelage of a soon-to-be, or current, first-class player. As he learnt his forward defence, he could have been standing next to the great Duleepsinhji fine-tuning his near perfect off-side game. That was worth far more than the 10 shillings Faulkner charged for 15 minutes' batting and 45 minutes' bowling. Faulkner could never charge enough for the magic he created there. He didn't discriminate on talent or status, as thorough with a village duffer as he was with the son of the Chinese ambassador. He gave simple explanations: he had the Faulkner method, and he made sure everyone who came through knew what it was. If you had a weakness as a batsman, he could find it, and put every ball there until you improved. As a bowler, if you used your wrist to spin the ball, one session with Faulkner and you'd be twice the bowler you were. He also put on the odd clinic with the ball. Jack MacBryan, a Somerset amateur who made over 10,000 first-class runs, was working on something in the nets one day, and facing up to Faulkner. MacBryan couldn't work out which way the ball was spinning. According to Peebles, he eventually threw the bat down, stormed out and said, "I can't play this bloody stuff." They said of Faulkner that he played with all his heart and his mind. He coached the same way. Faulkner was in the SCG nets, just about beyond the Ladies stand. He was working on his batting. But he was also listening. Listening for that noise. It wouldn't be long. It never was. Then it came, that abusive, guttural and communal shout that Australian crowds do better than other countries. Faulkner left the nets, walked straight into the middle and batted for his country. He did that all 10 innings on the 1910-11 tour of Australia. The crowd noises came at 29 for 3, 44 for 3, 34 for 1, 1 for 1, 31 for 1, 10 for 1, 7 for 1, 2 for 1, 4 for 1, and then finally 64 for 2. Faulkner was trying to train himself to Australian conditions. These weren't matting pitches. They were alien to him, and he knew he had to be better than ever before. He shut out much of the socialising and got into the zone. On the first day of the first Test, Australia scored 494. Albert "Tibby" Cotter then ran through South Africa. Except Faulkner, who made 62 and 43 as his team lost by an innings. The second Test began on New Year's Eve at the MCG. Australia attacked again, this time getting bowled out for 348. Faulkner walked in early on the second day and was still in on the third morning, cracking a classic double-century. His defence was solid and when the bad ball came, the bad ball went. He played so well off the back foot, ball off the bat sounded like a pistol shot. He scored more than half of South Africa's runs on day two. The Melbourne Argus said it was "nothing iconoclastic… a great innings on a great occasion". No South African had scored 150 before. It took 25 years for someone to go past it. It took Kallis 150 Tests to beat it. It might not have been iconoclastic but it was iconic. He was finally out for 204 and South Africa's first-innings lead was over 150. Faulkner had given them a great chance at their first away win. Then Victor Trumper scored a better-than-a-run-a-ball 159. The next highest was 48. No one else could have changed the match so quickly, so powerfully. Faulkner's innings had been brilliant, methodical and stoic; Trumper blew it away like it didn't even happen. South Africa still only needed 170. Faulkner decided to drop anchor but, according to reports of the time, appeared to freeze in a defensive trance on what was still, by accounts, a good wicket. When the score was 46 he was fifth out for 8. South Africa would fall for 80. It should have been Faulkner's greatest moment. Instead he was blamed. But the team needed help; they needed a batting coach. Faulkner was the only player on the field who could stand up to the Australians. He had by then transcended this poor team, becoming almost a godlike figure. They approached him carefully and he helped them with his Faulkner method. Play forward in defence. Play straight. Smack the ball when it's short. Never miss a run off your pads. In his cricket coaching book Cricket: Can it be Taught? he says: "'Is it better to teach boys nothing but strokes?... or merely defence?' The correct answer to which is surely: 'Teach the young fellows all you can of both; for batting is neither wholly the one nor the other but a happy blending of the two'". In Adelaide all Faulkner's method and his team's work paid off. South Africa scored as a team, not on his back, and his second-innings 115 gave South Africa a lead of 377. Had the ICC rankings been around then, Faulkner had just become the world's No. 1 batsman. At times, he would also have been the ranked the world's No. 2 bowler. Faulkner took a couple of wickets as well, giving South Africa their first away win. The Australians loved him, cheering Faulkner through almost all of his 732 runs in the series. That haul was more than what the second and third-best South African batsmen made between them. Peebles writes of a trip Faulkner made to Trumper's sports store in Sydney at the start of the tour. Trumper gave him a bat. Faulkner was overwhelmed. He used it, and it was a dog. The ball didn't jump off the bat, it yawned and fell asleep on impact. Trumper asked how it was, and Faulkner was honest. Trumper took the bat back, used it against him in a tour match and Faulkner stood back dumbfounded as the ball flew to the boundary, as if the bat had some hidden superpowers. Trumper handed it back, telling Faulkner it was knocked in. Faulkner used it again, but for him it was still just a plank of wood. Faulkner made 71 more runs than Trumper in that series. Faulkner was never officially diagnosed with bipolar disorder, but those who wrote about him often suspected he suffered from it. In social situations Faulkner often behaved as if he had hypomania (a mild form of mania marked by hyperactivity and elation): excitable, seemingly happy, the centre of attention at many parties, often mimicking famous people and making everyone laugh. Faulkner knew a lot of people. Everyone was a good friend or a lover, but very few truly knew him. "Lurking below the surface were demons which caused moods of deep depression, exacerbated by his attacks of malaria," wrote Brian Bassano in Aubrey Faulkner (one of a series of books he wrote on prominent cricketers). "As the years passed he became more prone to what was probably manic depression… "
On the few occasions he opened up to people, he let them into a dark and painful world. Home Gordon spoke to Faulkner during his last Test and writes in his autobiography that "his own retrospect of cricket was mysteriously and unjustifiably gloomy". No matter how many women he bedded, how many parties he attended, how many wickets he took, and runs he scored, it didn't matter. "…he had confided that he felt an inward blackness that suggested the futility of his own magnificent prowess." The blackness was there when he batted, even as he was lauded as better than any visitor to Australia. Even when they went to him for advice, they did so gently, as they could see what state he was in. Julien Cahn was like Kerry Packer, or the Maharajkumar of Vizianagram, or Allen Stanford, or perhaps a weird amalgam bargain-basement Nottingham version of all three. Cahn was rich (well, his father was), loved cricket, and ran his own cricket clubs and games in Nottingham. He used his money to buy talented players and his greatest purchase was Faulkner. Twice Faulkner took all 10 wickets in an innings for Cahn and made double-hundreds as well. And he dominated in a way you should if you are the world's best allrounder playing against teams made up of club cricketers and wealthy team owners with delusions of competence. Faulkner had originally moved to England to play for Surrey or Middlesex. But Cahn had offered him more money. Faulkner was not some successful businessman; cricket was his salary. He knew that the real money from cricket wasn't in South Africa but in county cricket or in teams such as those run by Cahn. Then World War I broke out and Faulkner was one of the first to sign up for service. Just before he did, though, in June 1914, playing for a Leveson Gower XI, he made 70 and took 5 for 51 in his last first-class match against Oxford University. Faulkner briefly served on the Western front but was moved to Thessaloniki, or what people on the front referred to as the Gardens of Salonica. It was rife with malaria, and Faulkner contracted it several times. Later in the war he moved to Jerusalem and for his involvement with the successful takeover of the city, received the Distinguished Service Order. He continued his struggles with malaria but recovered to fight in Palestine. For his efforts, he received the Order of the Nile: Major Aubrey Faulkner. Faulkner, the fit professional athlete, returned to England a broken man physically. What should have been his best years as a Test player were instead lost to the struggle to make a living, and war. Six years after his last first-class match, he took 10 wickets in his third match after the war, but he could no longer bowl long spells. Eighteen months after the war his wife left him. 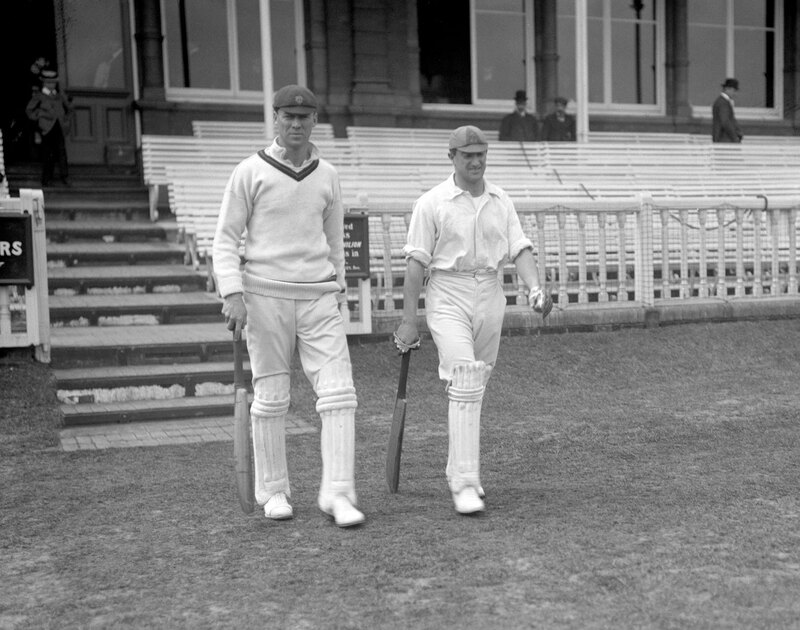 South Africa's tour of England in 1924 was their first visit to England since the disastrous 1912 Triangular. Their team was callow. They failed to beat any of the county sides in their 12 tour matches ahead of the first Test at Edgbaston. In response to England's 438, South Africa managed to last 12.3 overs. They were all out for 30, extras top-scoring with 11. They fared better the second time round but lost by an innings. A desperate South Africa sought out Major George Aubrey Faulkner for the next Test. He was by now a games master at St Piran's Preparatory School in Maidenhead. He was 42, fatter than he had ever been, and had not played a Test in 12 years, or a first-class game since beating the Australians at Eastbourne three years earlier. He had to be convinced to play, but in the nets before the game he batted quite well. His wrong'un consistently confused the captain, Herbie Taylor. As King George V shook hands with the South Africans, old British Pathé footage shows Faulkner appearing almost manically happy, nearly shaking with excitement at the prospect of playing. Maybe hidden behind the demeanour were his worries? Can I still play, he might have asked himself. Will I embarrass myself, he might have fretted. This time South Africa won the toss and batted. They made 273. Faulkner came in at No. 8, still with the bent-over, two-eyed stance and the strong, twitchy bottom-hand grip. But the granite-like defence had been replaced by a jittery old man who bounced around like a plastic bag caught in a cross breeze. Pathé footage of his innings makes it clear how difficult it now was for Faulkner. Even a simple forward defensive was made to look an impossible task. His bat seemed worried that its owner did not know how to swing it and that he was using it like a crutch to stop from falling over. There was no delivery where he wasn't a flurry of nerves and excess movement. And there was frustration. He knew what to do, he knew how to make the adjustments, but his body could no longer deliver. The will to achieve was still there, but it was almost all that was left. Still, it was some performance by someone so far removed from Test cricket. He was on 25 when he missed a topspinner from Percy Fender. It wasn't his prettiest innings. It wasn't his best innings. But it was, in many ways, his most heroic innings. Then England batted against what was a failed Frankenstein's monster attack, the kind that couldn't work, only gnaws off its own limbs before exploding in a pool of blood, guts and excrement. That attack managed two wickets. Patsy Hendren made an unbeaten fifty, Frank Woolley an unbeaten hundred, Herbert Sutcliffe a hundred. Jack Hobbs made a double. Had they not declared, they would still be batting. South Africa could not have been more embarrassed, but Faulkner produced one bit of magic. Hobbs, who had mostly played Faulkner by running down the wicket, did so again. In their glory days Faulkner and Hobbs had been a great sight. Sydney Barnes and Trumper had alien gifts, but Hobbs and Faulkner were man-made marvels. Four times in the nine Tests they played against each other, Faulkner snared Hobbs. Thrice Hobbs was between 50 and 100, and stopping Hobbs on the way to a hundred was no mean feat. On this occasion it was early in Hobbs' innings as he danced down the wicket. Faulkner floated one up and Hobbs tried to on-drive him, his favourite shot off Faulkner. The ball wasn't where he thought it would be, and it ripped past his bat. All that needed to happen next was for Tommy Ward to collect and take off the bails. That wasn't how Aubrey Faulkner's life went, though. Ward fumbled. Hobbs scored. Faulkner remained wicketless and embarrassed. On many days at the school, Faulkner and his assistants would work from seven in the morning until late at night. Seven days a week. Sharing food. Virtually no rest. Faulkner would bowl with his right arm for the first part of the day and then, in great pain, switch to his left by day's end. The school was almost always full, but Faulkner never made any money from it. He refused to up the price and even moved to Farm Lane, Walham Green, where there were many more nets. He should have charged more, especially the first-class players. He struggled to cover costs, working for the Westminster Gazette, the Cricketer and the BBC to supplement his wages. It wasn't enough. He had spent his whole life around wealth, and those who used his school were often London's elite, but none of it ever came his way. He was a great player and a great coach, but he had no head for business. The one thing he refused to do was probably the simplest: open a bar. It was the ghost of his father that stopped him. Faulkner had been teetotal all his life. He didn't speak of it often, but the few who knew him beyond the smiles knew that he didn't drink or trust barflies because of his father. From beyond the grave, from inside the darkness in his head, his father was still ruining his life. In his book Never a Cross Bat, Tom Reddick, a former county player who was on the staff at Faulkner's school, remembered a game at Chelmsford. He went with Faulkner, who was well into his 40s, in no shape for cricket, and had decided not to take his kit with him to avoid the embarrassment of playing. "I'm much too old and fat, so I shall not play," he told Reddick. The organisers had Faulkner's name up on a marquee and wouldn't accept him not playing. Faulkner borrowed kit and walked out on the ground smiling, perhaps the same manic, nervous smiles as at Lord's in 1924. Faulkner once wrote, "And nerves, believe me, hate the fellow who can smile!" That nervous smile, the one he used when he was in a room of dignitaries, or when he was panicking about money, was still on his face when he stood at slip, and as he came on to bowl. But, as always, Faulkner landed the ball on a length and the nerves went away. The ball spun both ways, as always, and the batsmen were on their way. One of his seven victims was Essex's Dudley Pope. Pope played for a legspinner and was bowled by a wrong'un. Utterly confused, he walked past Faulkner saying, "I don't know who you are, sir, but my word, you bowl a bloody good wrong'un." Faulkner and Jacques Kallis both attended Wynberg Boys' High School. These two men are the bookends of the greatest bloodline of allrounders any nation has produced: Jimmy Sinclair, Eddie Barlow, Mike Procter, Basil D'Oliveira, Tiger Lance, Tony Greig, Clive Rice, Taliep Sallie, Gesant Abed, Cecil Abrahams, Sulaiman Abed, Brian McMillan, Lance Klusener and Shaun Pollock. Kallis wore 27 on his Test shirt, as in the eyes of Cricket South Africa he was the 27th player to represent his nation. CSA does not recognise the players before readmission in their official lists. So Faulkner, Test player No. 58, doesn't exist. When he was part of a legspin militia that beat England that first time, when he coached his entire side to win their first overseas Test in Australia, when he risked embarrassment and injury to come out of a 12-year absence to play for his country one last time, it didn't count. His career, to them, means nothing. There are no stands in his name. No one receives the Aubrey Faulkner medal. There are no glossy books about him. When you search CSA's website for "Aubrey Faulkner" there are no results. The cricket world has done the same. Early Australian and English greats are praised, remembered and idolised. South Africans from that era may as well not exist. There is one biography of Faulkner, by Bassano, Aubrey Faulkner: His Record Innings by Innings. It is 36 pages long. Faulkner was a white South African who played over a century ago. Who is going to fight for a man who played for a racially segregated country in an era of little success? A man who put his financial security above his country's needs? Who only played 25 Tests? He was 48 when he died, six years after his last Test, the only man in Test cricket to ever average more than 40 with the bat and less than 30 with the ball (with a minimum of 50 wickets and 500 runs). September, 1930: Jack Hobbs had just retired. The BBC got Faulkner to interview him. Even then, sitting opposite Hobbs, Faulkner knew his fate. He wouldn't be remembered as fondly. He wouldn't be Jack Hobbs. He hadn't achieved enough. He hadn't played for the right country. He hadn't built his legend in county cricket. He was broke. His cricket school wasn't making money. His writing jobs weren't paying enough. He was fat. He was broken. He was in darkness. He tried to hide the darkness behind his jovial nature, but it was still there. Perhaps if you listened with half a ear, you would not pick up any of its cues. But Faulkner's laughs were hollow. Maybe he knew he only had a few days left. "What a pity we can't stay young," he said wistfully. "You're lucky - the majority of us are not so fortunate," he started his final public words. The interview ended with Hobbs' reply. Faulkner never said goodbye. According to David Frith's Silence of the Heart it was colder than usual on the September morning when Faulkner's secretary turned up at the school. There he read a note. Dear Mackenzie, I am off to another sphere via the small bat-drying room. Better call in a policeman to do investigating. When the police officer and the secretary entered the room, the gas was overwhelming. At their feet was one of the greatest cricketers that had ever lived, lifeless, without a smile to hide behind. He left his widow Alice £273, 16s and six dimes. Alice went to Tom Reddick, whom Faulkner had once gifted his South African blazer, and asked for it back. Not for sentimental reasons. Not because she knew what it meant to Faulkner, but because the buttons were made of gold. That blazer wasn't his legacy, though. Reddick was and so were all those whom Faulkner coached. Tom Killick, for example, who personified the Faulkner method as a batsman for Middlesex. 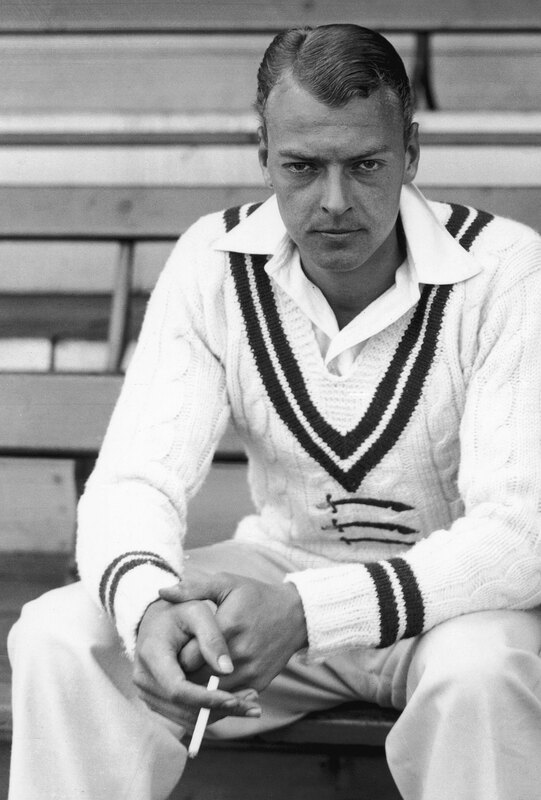 Or Doug Wright, arguably England's finest legspinner around the World War II years, who took over 100 Test wickets. Or Fred Bakewell, who made over 14,000 first-class runs. Denis Tomlinson, who played one Test for South Africa. 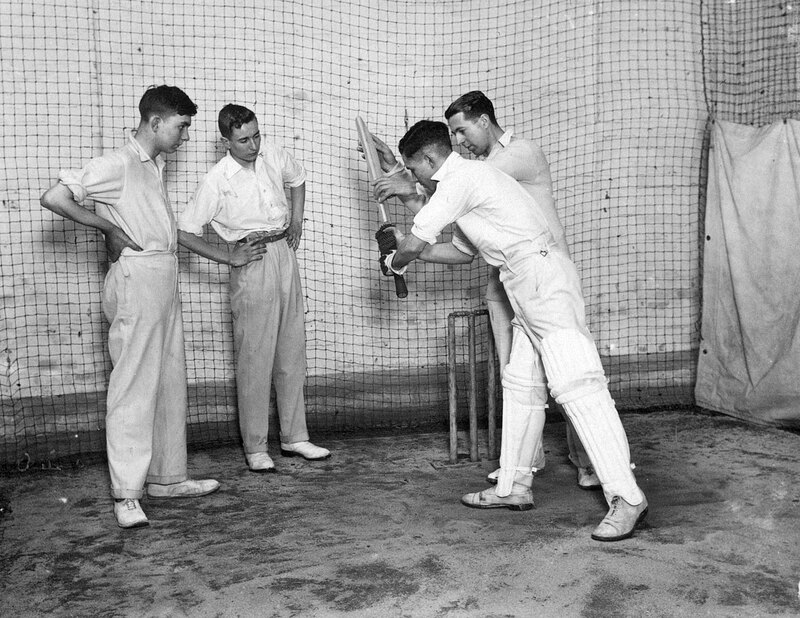 Maurice Turnbull, Walter Robins and Bob Wyatt, who made over 70,000 first-class runs and played 68 Tests between them. Freddie Brown was another; Duleep and Jardine too. And there was Peebles. 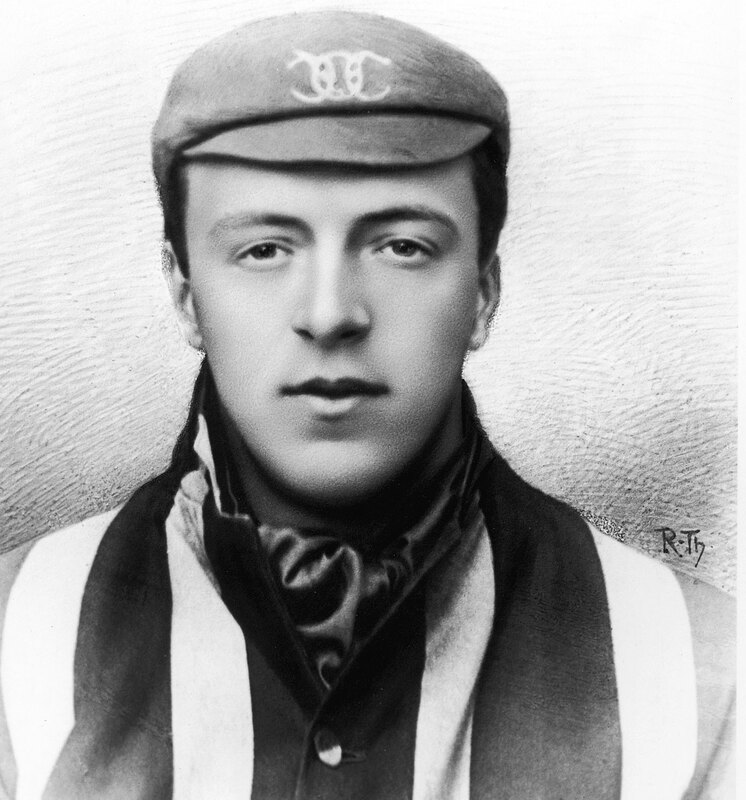 Under Faulkner's tutelage, Peebles went further than county cricket and played 13 Tests. No matter how much the darkness was eating Faulkner, he would check the scores for how Peebles was doing. When Peebles took wickets, he would smile, not for nerves or as a front, but from pure joy. Faulkner helped build a cricket team, he helped build cricketers and he built a cricket utopia out of a rundown garage. He never found his own utopia. Is cricket the black dog of the sporting kennel? Are cricketers more pre-disposed to depression than the average man in the street?